For cars with backseat headrests. 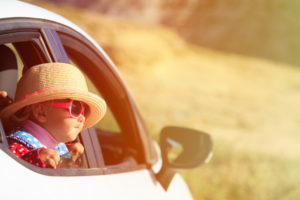 Experts recommend keeping your baby in a rear-facing car seat during the first months, but the problem is that it makes it impossible to see them in the rear-view mirror. It can be somewhat anxiety-provoking. What if their blanket is getting too close to their face, or something else is going wrong? Even in a standard, front-facing seat, you can’t always have them in your vision and also be able to see your blind spots while driving. There is a solution, though; there are mirrors that attach directly to the car seat itself, so it reflects in your direction and you can see them perfectly. 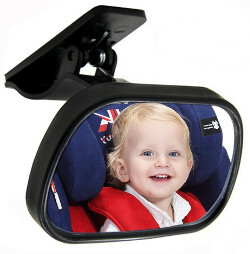 There is one main thing to consider when shopping for a baby mirror for the car: some only work with cars that have headrests in the back seat. In fact, most mirrors of this type need a back seat headrest. Luckily, there are a few good ones that don’t have this requirement. My favorite mirror for cars that have a headrest is the Back Seat Mirror by Cozy Greens (click here to check price on Amazon), a newer product on the market from a smaller (but great!) company. 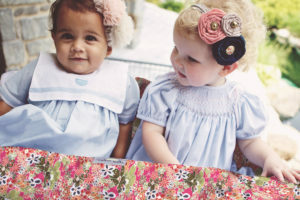 It has rave reviews across the internet, and a lifetime warranty, which is awesome for any baby-related product. I love the attention to detail that Cozy Greens has and the bigger brands don’t. The construction uses safe, impact-resistant glass, so it’s about as reliable as a mirror could possibly be. The straps are nylon and incredibly tough, as far as I can tell. Installation is very simple, and you can put it in the car in less than a minute. This isn’t the biggest baby car mirror on the market, but it doesn’t need to be. They did a perfect job on the curvature, and it gives an amazing (almost HD-like) view of the back seat. It’s almost like having a baby monitor in the car with you! You don’t have to turn your head at all; you can see the back seat just by glancing over. This is exactly what you need: a low-distraction, easy-to-see mirror. Unlike many other similar products on the market, this one stays very securely in place, and it won’t pivot or otherwise move out of place if you go over something bumpy, or hit a pothole. There’s not much more to say about this great back-seat baby car mirror. I highly recommend it! Unfortunately, most manufacturers make mirrors for cars that have headrests, so if yours doesn’t, you get the short end of the stick. It can be rather hard to find a good one for your car without a headrest, but there are some options. My recommendation is the Pnbb Shatterproof Baby Seat Mirror (click here to check price on Amazon) which works with most cars. It comes with a suction cup attachment that you put on the rear window of the vehicle. 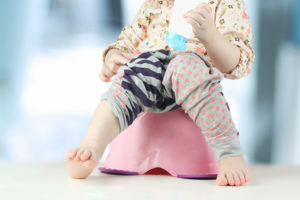 Because it can twist and adjust around 360 degrees, you should be able to place it in a way that gives you a clear view of your rear-facing bub. Take a little bit of water and put it on the inner part of the suction. It only takes a tiny bit of water to moisten it. That should make a huge difference, and if you do this, the suction should stick really well and never fall off. The mirror is large and has a great viewing angle, and it should stay well in place if you strap it on properly. A nice bonus is that unlike some other mirrors, this one isn’t colorful or flashy, so it fits in well and isn’t distracting. Plus it means dad won’t feel embarrassed with it in the car, too! Have no headrests and need a mirror? You really can’t go wrong with this one. If you don’t like it, you can always return it for free! Do I Really Need a Backseat Mirror? Some people will tell you that these mirrors create an unnecessary safety hazard, especially in the case of an accident. They’ll also tell you that they’re a distraction to the driver. The fact is that the pros far outweigh the cons, and a good mirror like the two recommended above won’t be a distraction at all. 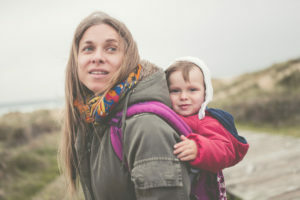 If your child is suffocating in their rear-facing seat, how will you know unless you can see them? Death by choking on vomit or suffocation by blankets are a real thing that happens all the time, and why risk it? 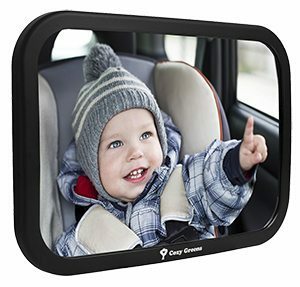 A baby mirror is safe, affordable and easy to install, and I think everyone should have one in their car if they have a rear-facing seat. Sproutlets sound like what I’ve been looking for! Unfortunately, can’t find a retailer that sells this mirror. Anyone know where to find this? Stephanie, I recommend buying it through Amazon. I do have a link to where you can purchase it in the article. The link to Amazon doesn’t work and I can’t find it on Amazon? ? Amy, it looks like one of the mirrors is no longer sold, so I updated the post with a different one. Has anyone found good solution for fixed / non-adjustable /attached headrest? I have a horizontal strap one now but am worried it could fly off. I a, thinking of tying it down to one of the car seat hooks, but thought I’d ask if anyone had heard of one for attached headrests. Thank you! Hi there, not sure if you found a solution yet. We cut a pool noodle and stuck it to the back of the headrests so the straps could be secured tightly. When I click the button for mirror for back seat has no head rest (2017 Honda Civic hatch back Sport ) 4U2C mirror did not show up you have another recommendation? Please help Urgent! Thanks for pointing out that the mirror is no longer sold! I found a good replacement for it and updated the post.